Please note it is not necessary to purchase a car parking ticket at every visitor centre you visit. Just buy one £5.00 ticket at your first stop off and it is valid to use at the other visitor centres throughout the whole day. Alternatively, if you only park for one hour or less, the charge will be £1.50. No matter where you’re arriving from there’s stunning scenery to accompany you every step of the way. 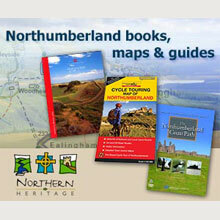 It is also an ideal base for exploring Northumberland, Cumbria and the Scottish Borders. Please don’t speed and do drive carefully to help us protect our wildlife. Visitors travelling to or from Kielder Water & Forest Park from the north west should plan their visit carefully taking into account journey times and fuel. Coming from Jedburgh/the south east of Scotland take the A68 heading south then the B6320 from Otterburn to Bellingham. Follow the brown signs to Kielder Water & Forest Park. Those travelling from the south west of Scotland should follow the A7. Leave the road at Canonbie to join the B6357 to Newcastleton and Kielder Water & Forest Park is signposted from there. From Newcastle or Carlisle, follow the A69 to Hexham then follow the B6320 to Bellingham (brown-signed Kielder Water & Forest) and then the C200 to Kielder Water & Forest Park. As the Park consists of the largest man-made lake in northern Europe and the largest forest in England, please take note how long it will take you to travel between the various attractions. There is no public transport so if you cycle or hike to a specific place it is advisable to take note of how long it will take you to get back to your car. Using the Lakeside Way, you can cycle or walk around one of the circular trails we suggest or use the Osprey ferry to reach a destination and cycle or walk the return journey. The ferry must be pre-booked by contacting or visiting Kielder Waterside or Tower Knowe Visitor Centre where you can also check the ferry timetable before setting off on your journey. Please note: The directions we have given are a guide and use more major roads to suit the majority of our visitors all year round. The 694 service runs between Kielder and Hexham on Tuesdays and Fridays. See the timetable below. Please note some sat nav systems show forest roads that are not open to vehicular public access. Please don't speed and do drive carefully to help us protect our wildlife.